pasta | "What's Cookin', Mamele?" In response, below is a meal I created from the local dollar store. 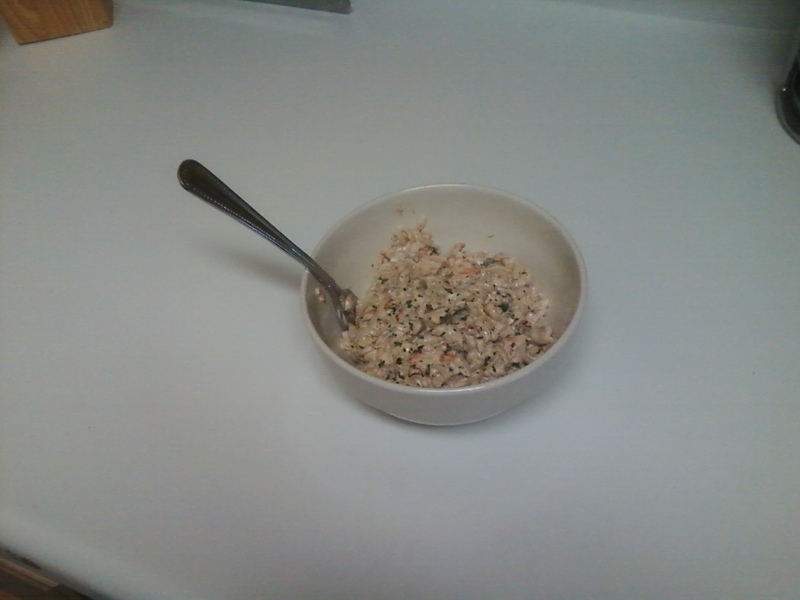 It is relatively healthy, and I thought it was pretty delicious. Preheat your oven to 375 degrees. Blanche your broccoli to thaw it by boiling it in a pot of water for about 5 minutes and then dropping into ice water. Once the broccoli is no longer hot, drain and place on a shallow baking sheet. Drizzle with oil, salt, and pepper. Roast until tender and the floret is just slightly crispy (about 25 minutes). For the pasta, boil the pasta component of the salad mix according to the package directions. Next, combine the seasoning packet and mayonnaise well and then stir in both tins of fish gently. Drain and rinse the pasta once al dente and add to the bowl with the seasoning/fish mixture. Chill or serve slightly warm. If you already had the mayonnaise, salt, and pepper, this meal cost you $5. That’s $1.25 per person for a family of four – less than the cost of a school lunch. And, it’s loaded with healthy fats from the fish, mayonnaise, and oil; Vitamin C from the broccoli; and calcium from the pasta. Creamy seafood pasta leftovers for lunch!